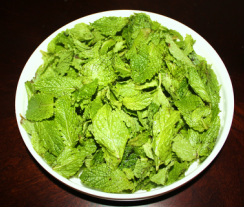 aromatic, refreshing, tangy and cooling chutney. 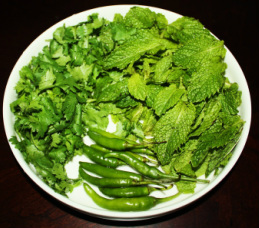 This tasty chutney is made with mint leaves, coriander leaves, lemon juice and spices and other ingredients may vary depending on the individual taste or the area the chutney comes from. 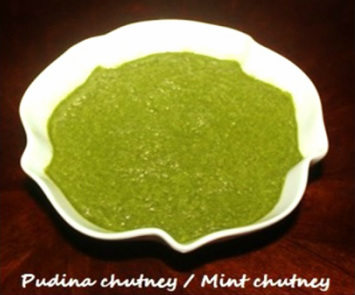 Pudina chutney can be eaten with any kind of curry but is most Popular compliment is tandoori chicken and sheekh kebabs. 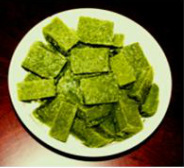 It is also accompanied with savory snacks like pakoras or samosas. 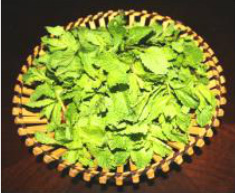 This chutney usually made with coriander leaves to maintain the green color as mint can turn black. Any desired ingredients could be added to the chutney. leaves chopped the bottom thick stems out. sauce, taste it with the spoon and adjust the ingredients according to the taste. 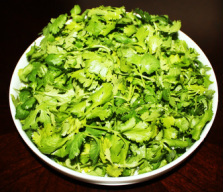 chutney in the microwave or if you have time leave it on the counter top. 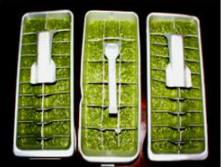 cubes out and defrost them. 4. 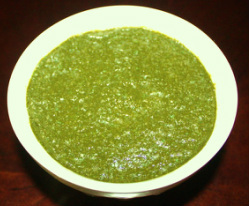 If you freeze the chutney right after you make it, it stays fresh looking green.